Dongdong Li is a research fellow at Harvard Pilgrim Health Care Institute. Prior to joining the Institute, Dongdong pursued her PhD in Statistics from Simon Fraser University under the supervision of Dr. X. Joan Hu. She was a recipient of the NSERC Postgraduate Scholarship (Doctoral). Her statistical research interests lie in the development of methodology for analysis of complex data. Her recent work has been on incomplete event history data under informative censoring, and pseudo-likelihood based approaches. Tom Chen is a postdoctoral Pyle Fellow at Harvard Pilgrim Health Care Institute. Tom received his undergraduate degree in Finance and Biostatistics from Cornell University. Afterwards, Tom pursued his PhD at Harvard University under the tutelage of Rui Wang. Tom's research interests include a variety of methodological issues regarding cluster randomized trials, including robust estimation procedures and stepped wedge designs, and methodological issues regarding statistical computing, including stochastic approximation algorithms. Young Hee Nam, PhD, is a Research Fellow in the Therapeutics Research and Infectious Disease Epidemiology (TIDE) group at the Department of Population Medicine at Harvard Medical School and Harvard Pilgrim Health Care Institute. Her research has focused on pharmacoepidemiology, particularly on the effectiveness and safety of pharmaceuticals, drug-drug interactions, and weather-drug interactions, as well as health policies related to pharmaceuticals. Dr.
Alon Peltz, MD MBA MHS is a pediatrician and health services researcher who investigates the impact of health insurance design on cost, quality, and affordability. He received his MD and MBA degrees from Vanderbilt University and his clinical training at Boston Children’s Hospital and Boston Medical Center. Dr.
Mohammad L. Rahman, ScD, MBBS, MPH, received his medical degree from Dhaka Medical College of University of Dhaka, Bangladesh, and his master’s degree in environmental health from Texas A&M University Health Sciences Center and Doctor of Science degree in environmental epidemiology from Harvard University TH Chan School of Public Health. Sheryl Kluberg, PhD, SM, is a Research Scientist in the Therapeutics and Infectious Disease Epidemiology group at the Department of Population Medicine at Harvard Medical School and Harvard Pilgrim Health Care Institute. She received her PhD in Epidemiology from Boston University School of Public Health and her SM in Epidemiology from the Harvard School of Public Health. Please join us for the Annual Thomas S. Inui Lecture on Thursday, March 7th at 1:30pm. This year’s guest speaker is Fiona Godlee, MD, Editor in Chief of The BMJ. 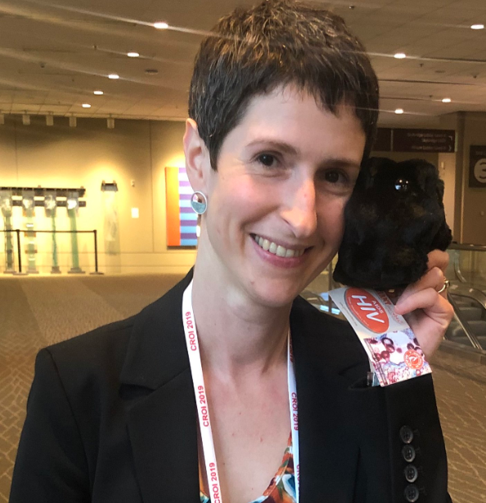 Julia Marcus presented on March 6th at the Annual Conference on Retroviruses and Opportunistic Infections (CROI 2019) in Seattle, WA.